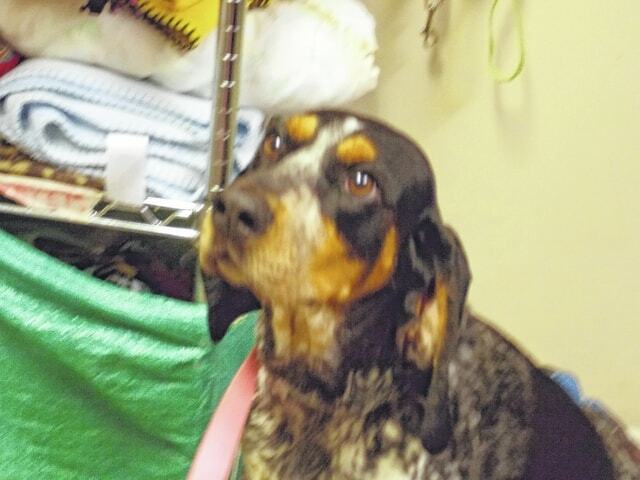 Rosie, a 40-month old, 58.4-pound spayed Blue Tick Hound mix, joins Bear, a 19-month old, 7.9-pound brown tiger cat, as this week’s dog and cat of the week, available for adoption from the Humane Society of Delaware County, located at 4920 Ohio 37 east of Delaware. The shelter hours are from 1 to 6 p.m. Tuesday through Sunday. The normal adoption fees for dogs over 7 months of age is $125, which includes a microchip, as well as the first DA2PPC booster, a rabies vaccination (if over 3 months old) and de-worming plus a dog license fee. Puppies under 7 months are $175; a dog license is free. The normal adoption fee for cats (over 7 months of age) is $60; kittens under 7 months of age are $85; and barn cats are free to good homes. Fees include a feline leukemia test and the feline’s first booster shots.